The Needles Park has been constructed adjacent to the chine, with a well maintained path through the chine and the opportunity for an unusual perspective from the chairlift run by the park. 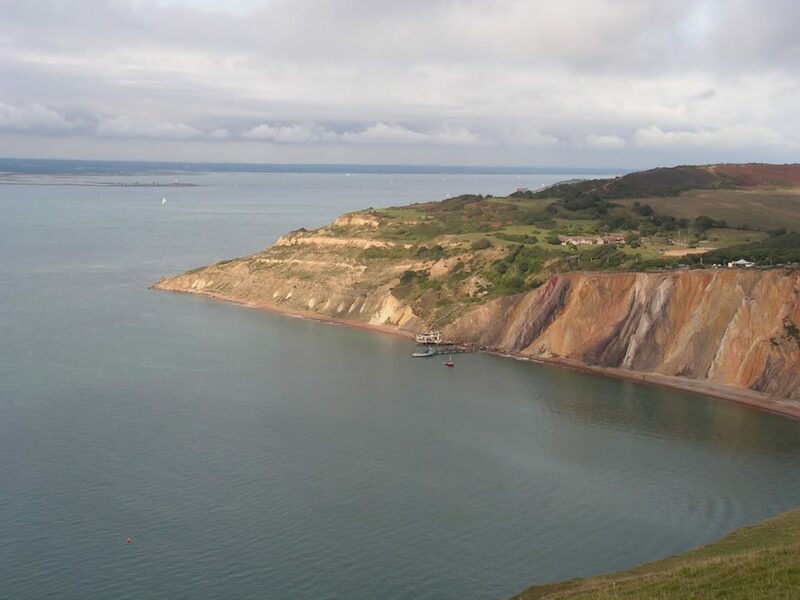 Alum Bay provides an opportunity to investigate the geology of the northern chines. There are toilets and cafe facilities at the park. Parking is available at the Needles Park. Cycle parking is available near to the chine entrance. A public footpath leads from the car park and coastal path into the chine. Access can be gained via the footpath through the chine or the adjacent chairlift. Click here to see the approximate location of Alum Bay Chine. The other north-west coast chines have been extensively altered and are mostly unrecognisable as chines now. Widdick is a steep but accessible chine which the coastal path runs through. Water has been piped away from the chine, stopping further development. Colwell Chine has been completely lost to development, with a road and slipway where the chine used to be. Brambles is accessible from the coastal path but there is little left of the chine, with a slipway occupying the former chine bed. Linstone Chine is no longer active and is on private property with no public footpath access. Click here to see the approximate location of Widdick Chine. Click here to see the approximate location of Colwell Chine. Click here to see the approximate location of Brambles Chine. Click here to see the approximate location of Linstone Chine.